ETL Systems will be launching their StingRay DWDM (Dense Wavelength Division Multiplexing) solution at IBC at booth 1.A33. The solution enables high-quality distribution between a satellite antenna and a remote control room. Using DWDM technology, multiple signals can be transmitted and received over distances of up to 100s of kilometers through a single fiber cable and also offers the potential to deliver redundancy by adding an additional fiber connection. ETL Systems' StingRay200 DWDM AGC L-band Transmit Fiber Converter with Mon port. The StingRay DWDM is able to maintain a much finer optical spectrum, enabling it to distribute up to 40 channels through one single fiber cable. It is able to cover much larger distances before suffering any signal loss. 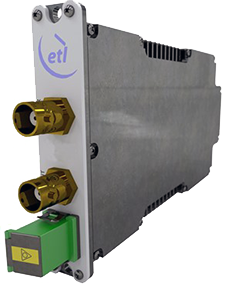 The addition of pre-amp and post-amp Erbium Doped Fiber Amplifiers from ETL Systems further reduces the effects of any potential optical signal loss. 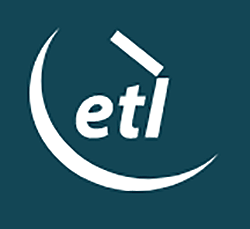 ETL Systems will also be demonstrating their existing StingRay CWDM (Coarse Wavelength Division Multiplexing) solution, which combines eight optical signals on a single fiber by using different wavelengths. Other products on display will include their Griffin Redundancy Switch, which provides signal redundancy for satellite modulators, downconverters, or modems, and its Hurricane Matrix, which provides L-band routing for as many as 64 input and output feeds. Ian Hilditch, CEO, ETL Systems, said that satellite is under increasing pressure to deliver high performance and quality in all environments. This is mainly fueled by growing competition, covering a range of applications, all vying to deliver multiple services across disperse locations. Both CWDM and DWDM represent great potential for the satellite industry to deliver RF signals much more cost-efficiently and over large distances.